Calling all artists and flower lovers! 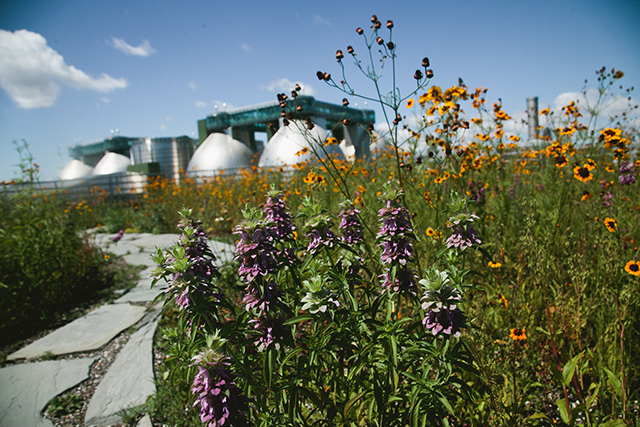 Join Newtown Creek Alliance and Kingsland Wildflowers for a summer series celebrating native flowers and art and the exploration of where they meet. In July and August, during the regular Field Day Friday events, enjoy a guided tour of what is blooming on the rooftop meadow and learn creative ways to get to know the plants. In July, botanical drawing with artist Gabriel Willow. At both of these events, we will show you how to press and preserve the plant you’ve been working with so you can return in August to learn how to start your own herbarium with NCA’s own Lisa Bloodgood. At each event, you will get up close and personal with the Butterfly Weed Asclepias tuberosa or the beautiful Lemon Beebalm Monarda citriodora or any of the other important pollinators flowering, you will be well on your way to becoming an amateur botanist, and you will definitely have some beautiful artwork for your wall or to give as a gift. $10 suggested donation to NYC Audubon and the Kingsland Wildflowers project for art materials. Family friendly event!